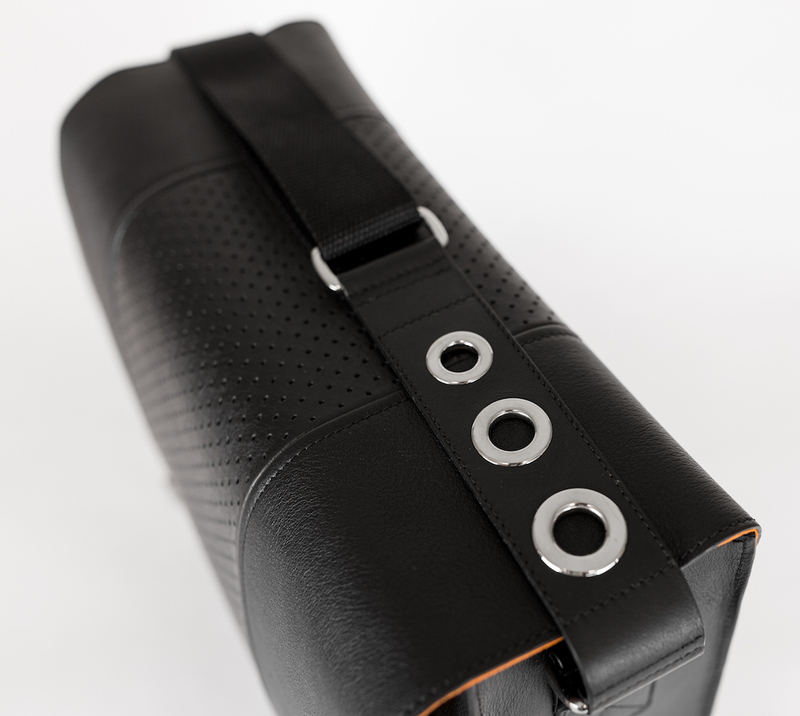 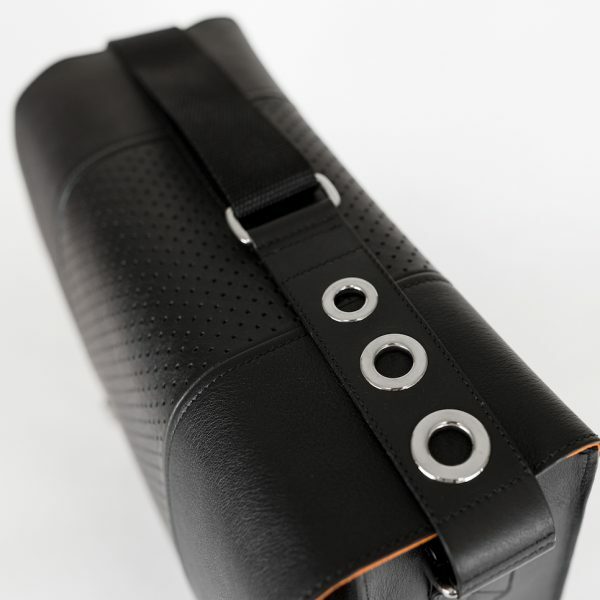 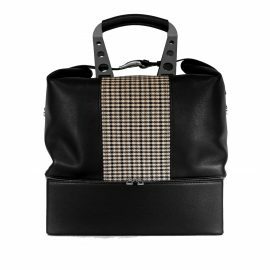 This messenger style bag in soft leather, is elegantly designed for business purposes. 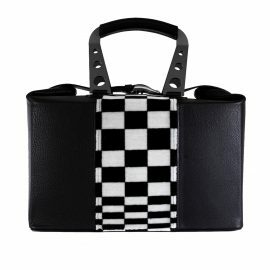 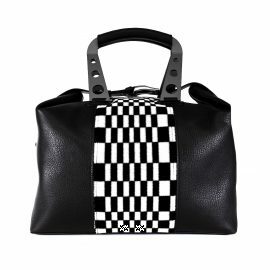 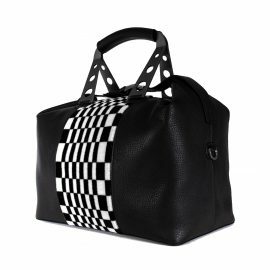 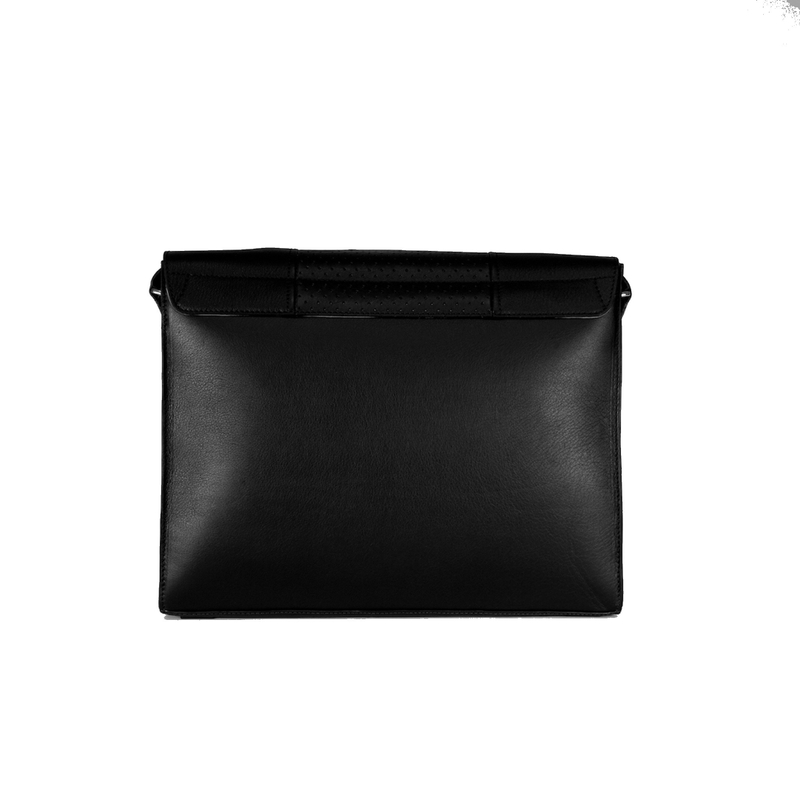 It’s a designer laptop bag with plenty of room for both a laptop and an iPad Pro, plus all cables and chargers. 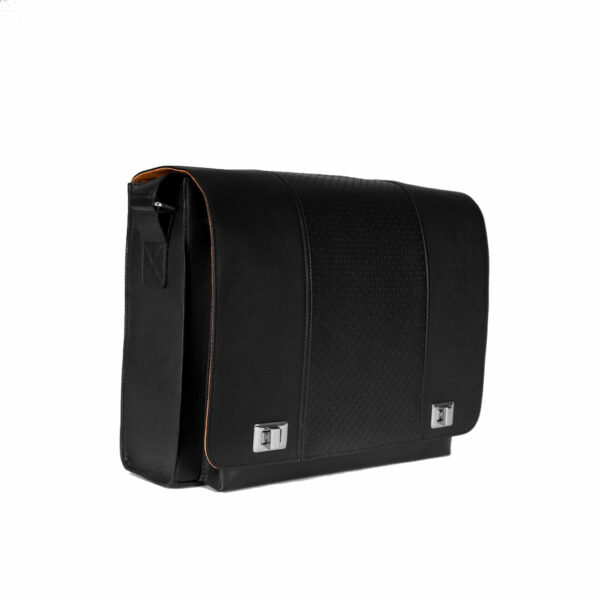 Featuring two compartments providing sufficient room for a 13” laptop, tablet, phone and A4 documents size. 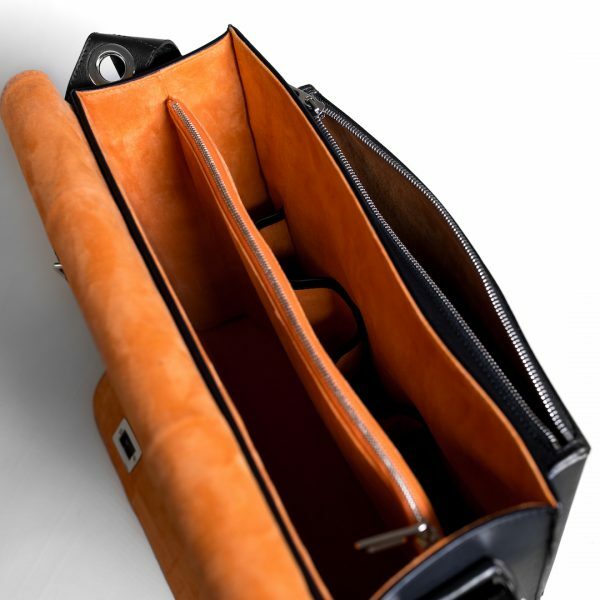 The main compartment is divided in two by a separator, which forms another slim document compartment. 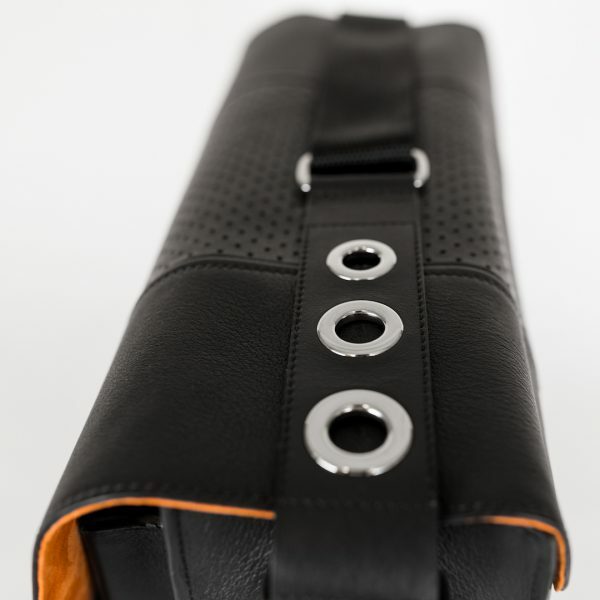 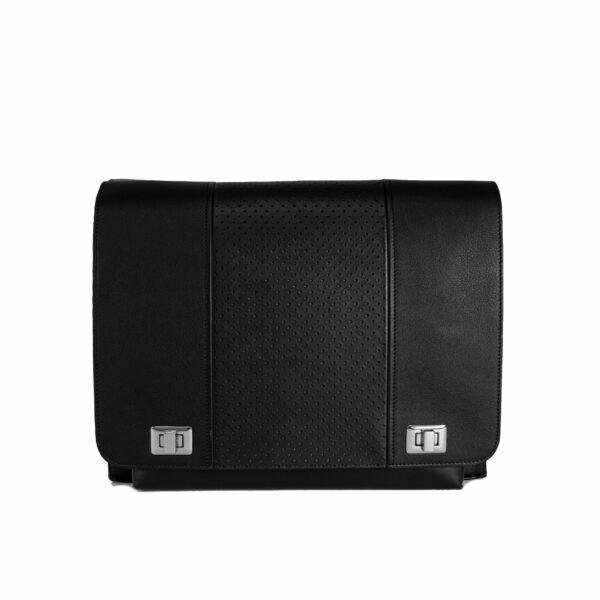 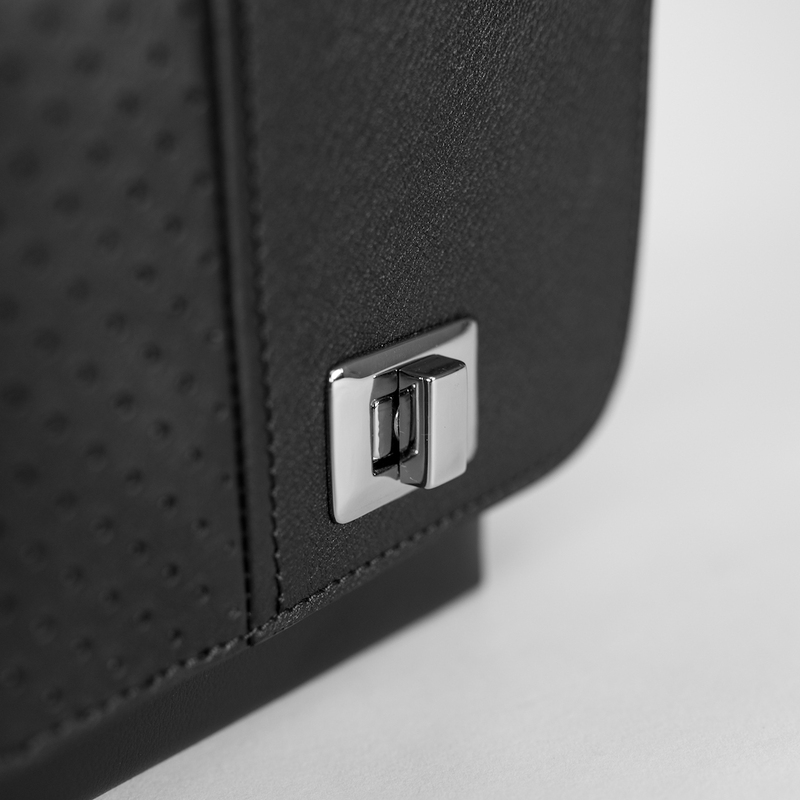 The main compartment features 3 small slots for phone, wallet or keys. 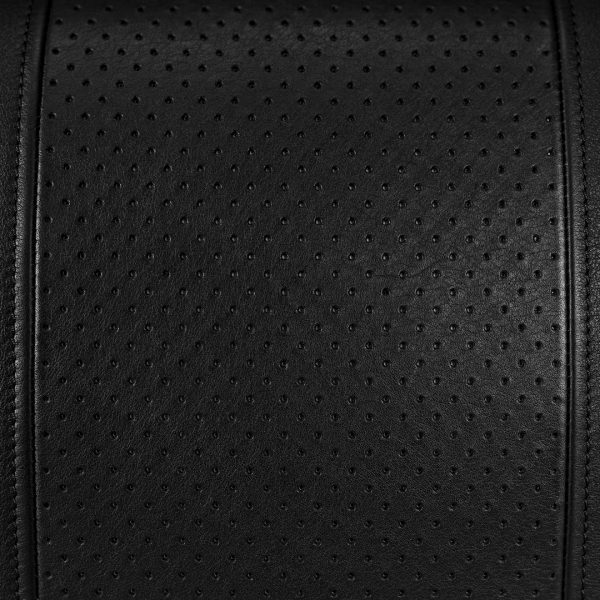 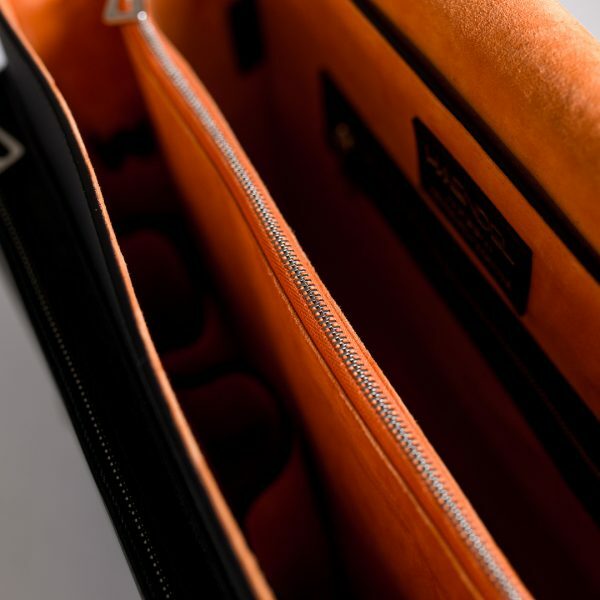 The rear wall of the Messenger contains an integrated passport pocket with zipper. 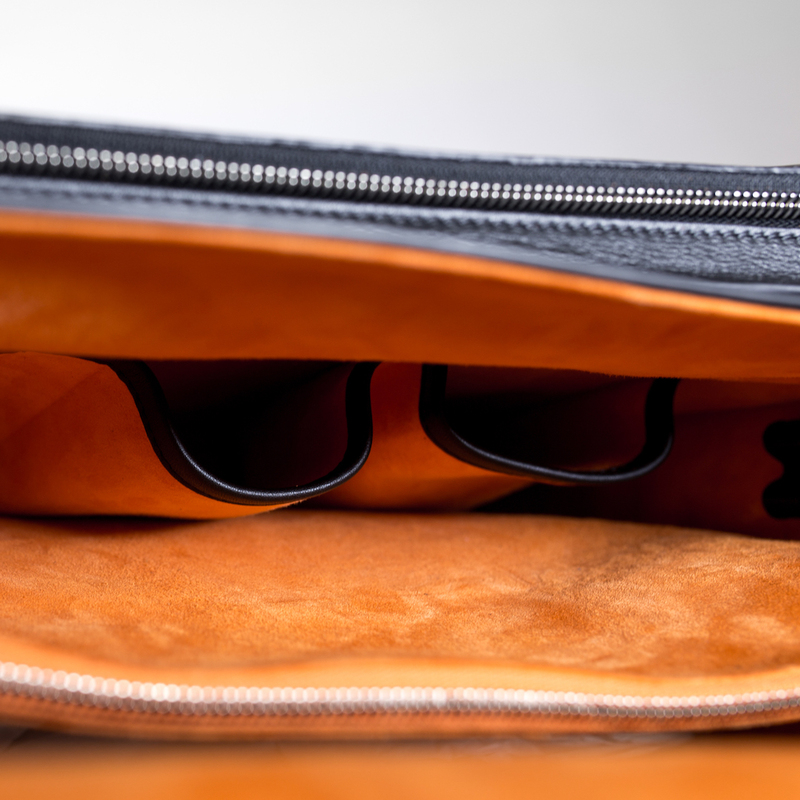 A separate front compartment closes with a zipper and is covered in its entirety by the flap. A comfortable adjustable shoulder strap completes the look. 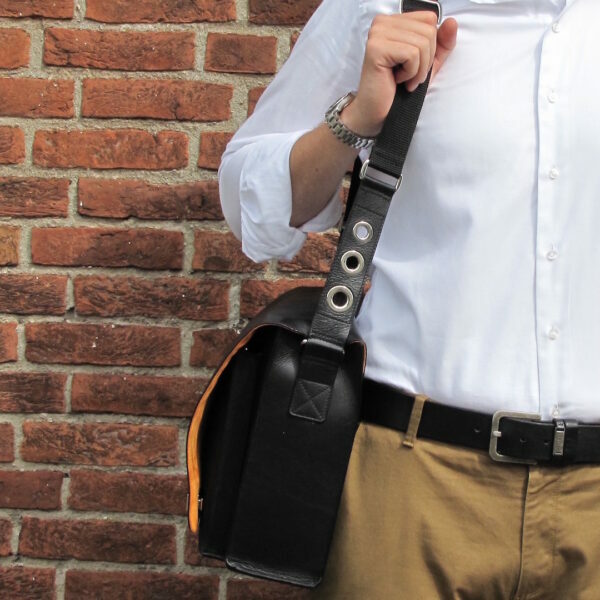 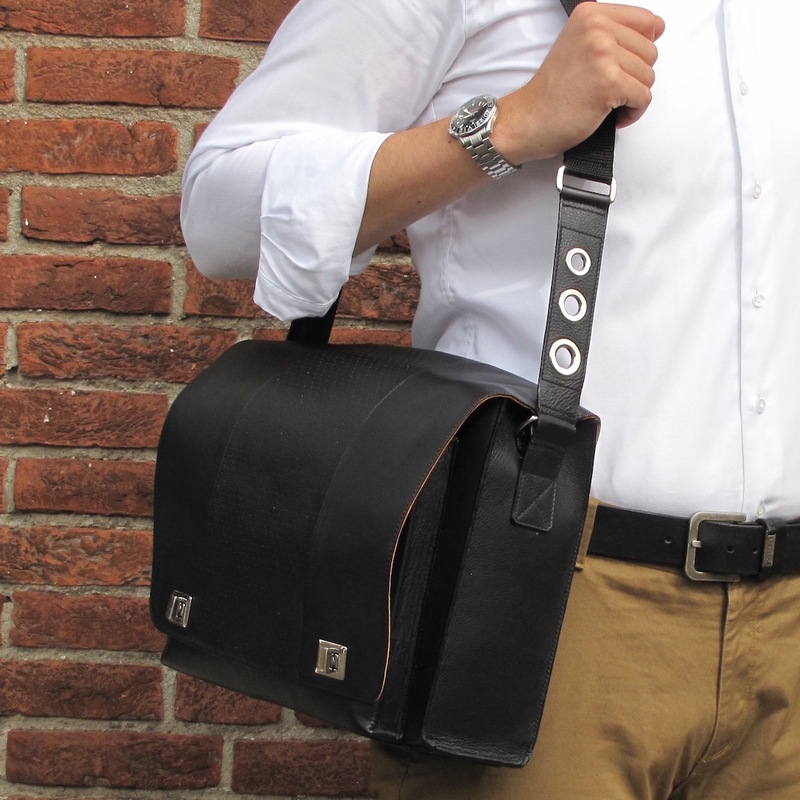 Our Iseran can be worn over the shoulder or across your body, making it the perfect wearable accessory for the stylish and secure transport of business objects. 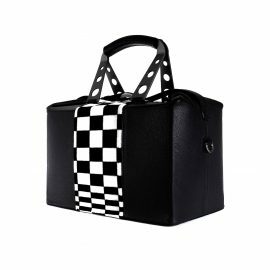 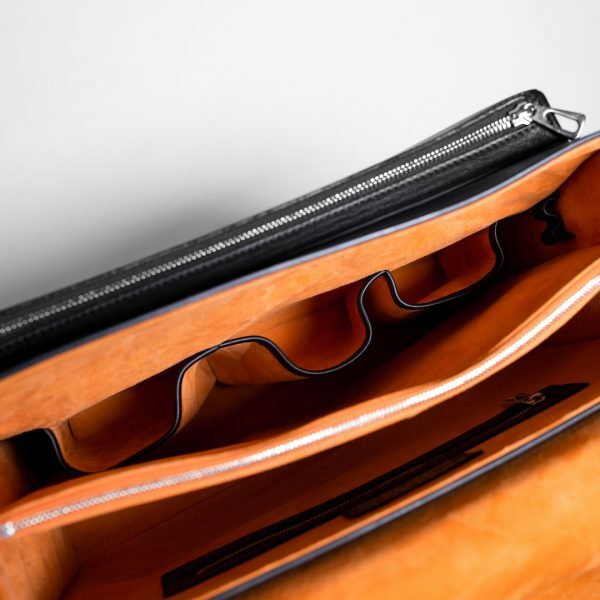 Fits perfectly on the car seat next to you, behind a car seat or in the overhead compartment of an airplane. 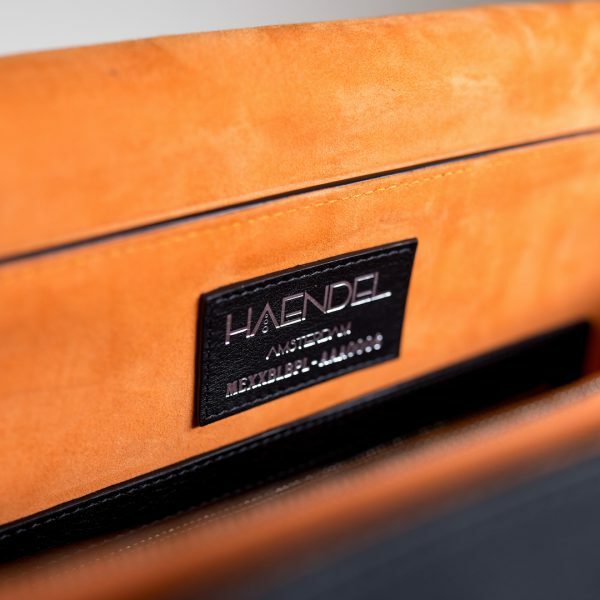 Outside calfskin vegetable tanned leather using an EU regulated tanning technique so that the leather will retain the natural and asymmetrical light grain pattern. 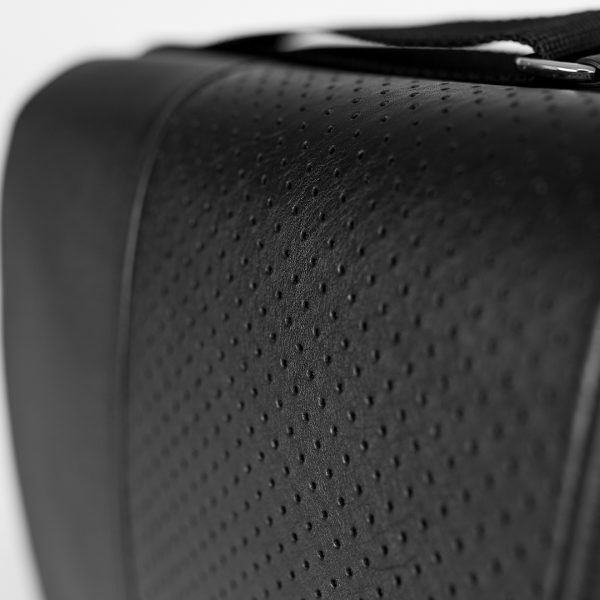 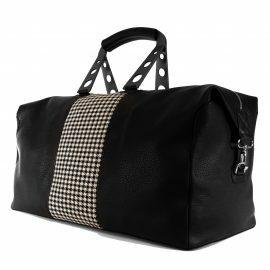 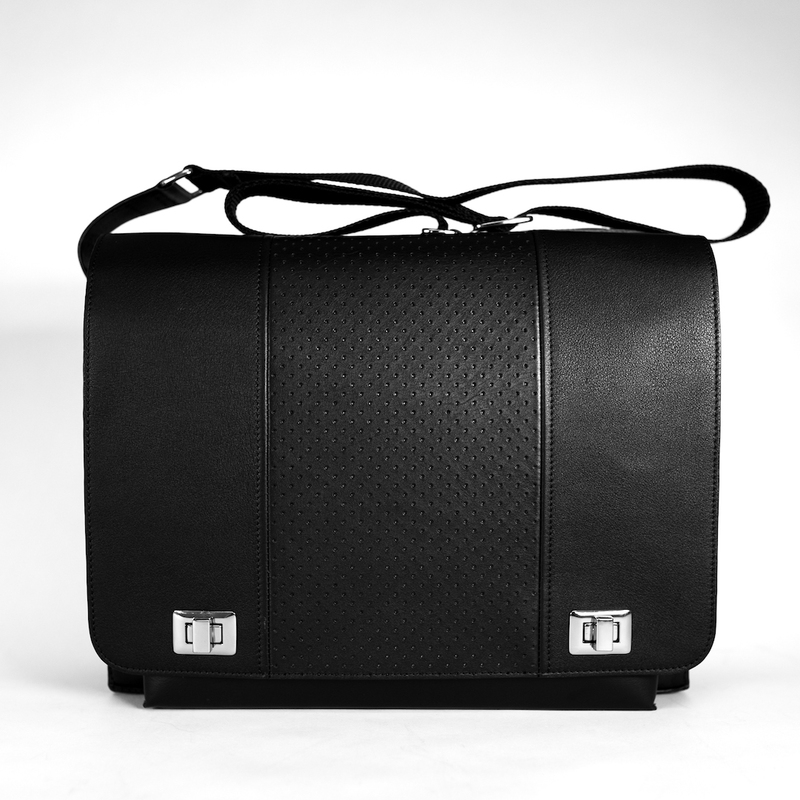 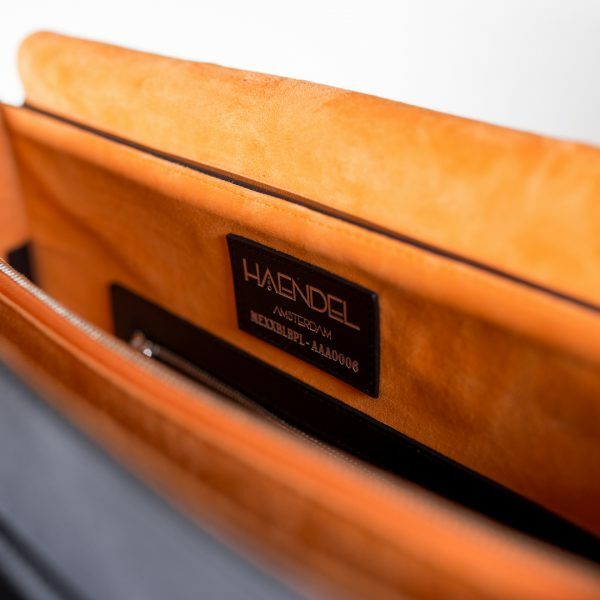 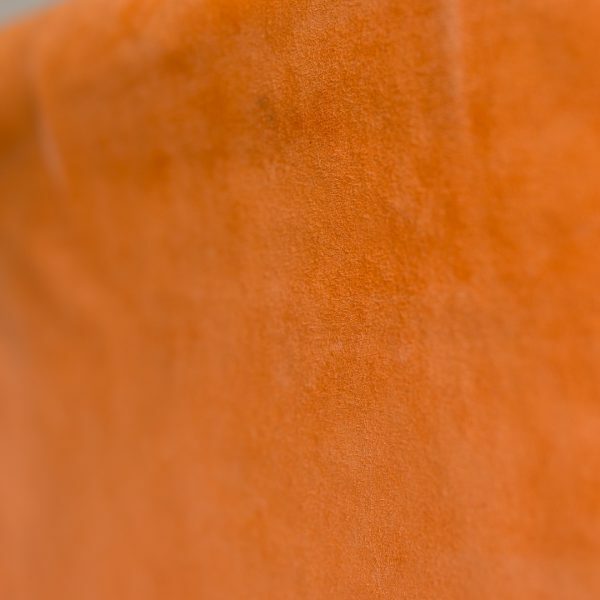 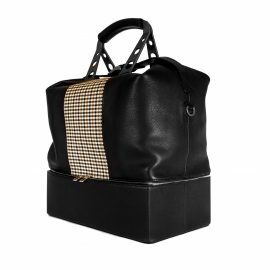 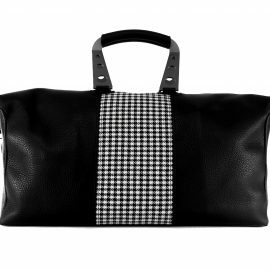 The calfskin is a smooth, fine type of leather specially suited to use on designer luggage.